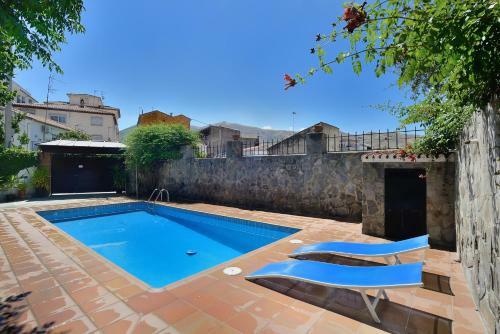 Featuring an outdoor pool, Armonía is a holiday home set in Cenes de la Vega in the Andalucía Region. It provides free private parking. The kitchen is fitted with a microwave and a toaster. A TV is provided. This hotel is 4115 metres from the Alhambra entrance, 5214 metres from Plaza Nueva (the absolute centre of Granada), 6745 metres from the train station and 7795 metres from the bus station.